No matter how well you plan, how many procedures you have in place, or how perfectly your business contracts have been written, at some point in the life of your business a dispute will arise that requires the help of a lawyer. Will the lawyer you choose improve the situation for your business? Or will he or she become part of the problem? At the Olen Law Office, we help our business clients make the hard decisions, including whether and how to resolve ownership disputes, a breach of contract dispute, unfair trade practice claims, commission claims, personnel about to leave and compete with you/divert your customers, how to handle civil claims generally, and how to prepare for possible future litigation of any type. Our goal for every client is to balance the benefit of litigation and the options available, against the benefit of early resolution, cost savings, time savings, eliminating worst case scenarios, and bankruptcy options, of which all need to be factored in. Bottom line, we will provide you with optimal results given the tools at hand. Contact our law office to schedule a consultation with an experienced Bucks County business litigation lawyer. Should You Belong In Court? If you’re considering hiring a lawyer for a litigation matter, the problem is usually serious. Is it so serious that your only or best option is to “go to court?” The other side faces the same considerations. The first decision is when to file a suit and/or when to try and settle it, offensively or defensively. What legal budget do you have and face? What venues for the suit apply, chosen or changeable? What insurance, contract and other protections apply? What might it cost and how long might it take to see things through, to the bitter end if need be? What exposure do you have if you lose? What exposure does your adversary face if it loses? All this shapes a proper decision. A good business lawyer will help a client appropriately analyze the factors applicable to our circumstances. Remember, even frivolous claims are often brought or need to be defended; even if you win, the cost of winning may outweigh the benefit. Can the other side afford a legal battle? Can you? Where would the fight play out? Who else would be involved? What are the pros and cons of early and late settlement? Many lawyers don’t want to settle or forego a lawsuit. It’s not in their economic interest to skip a case, or end a case too early. Others do not grasp what are the salient issues and what to do about them, instead getting entangled in tangential and unimportant issues. But at the Olen Law Office, we seek the most seemingly effective solution that respects our clients’ bottom line. Do you have a clear understanding of the critical terms in your agreements or contracts? What was not mentioned in the contract is often as important as what was. Does the agreement state what happens if one side violates the agreement? Both sides? How can you prove oral inducements or promises? Are there mixed written and oral contract terms? Are there ambiguous critical terms? Who drafted what documents? How to reconcile multiple documents, or documents and oral terms, as one? Do you have a right to a trial, and if so, by a jury? Or does a contract require mediation, or arbitration (and if so what kind)? Can arbitration or mediation be skipped or challenged? What might it cost to win, and what does that accomplish? What is your capacity to fund the fight? What are the issues that may be raised? What defenses apply? What proof is needed and available, at what cost, to prevail? What add-ons like interest or attorney fees are available? What is the minimum and maximum financial downside/upside, insured and otherwise? Do you have time for court matters? What if key witnesses and evidence cannot be readily produced? Will filing a lawsuit generate a counter-suit? Are there non-financial risks to litigation? 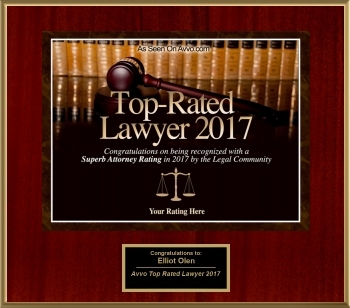 Get sound legal advice, practical assistance and representation in court from Philadelphia business lawyer Elliot Mark Olen. Contact our law office to schedule a consultation.